Torrie Dorrell has over 20 years’ experience developing, marketing and selling innovative content and services across virtually all game genres, business models and platforms. She is currently at Microsoft’s Redmond Game Studios, helping to drive business and strategy for First Party games. Prior to Microsoft, Torrie was Chief Revenue Officer at Meteor Entertainment, a F2P games publisher and platform, notably known for developing Hawken. Torrie was responsible for running the day-to-day operations for this startup, including production, web development, technology, infrastructure, operations, analytics, marketing and PR, transmedia, community, test and customer service. Prior to Meteor, Torrie held the newly created role of Senior Vice President of Digital Media & Strategy for RealNetworks, focused on building out the company’s strategy and products around consumer-facing digital media solutions. Prior to RealNetworks, Torrie served as Vice President of Applications, Content and Games for one of the nation’s largest wireless communications companies, T-Mobile, and was responsible for bringing to life compelling applications, games and services focused on enriching customers’ mobile experiences. She also oversaw digital stores, mobile payments, mobile advertising, and cloud services. 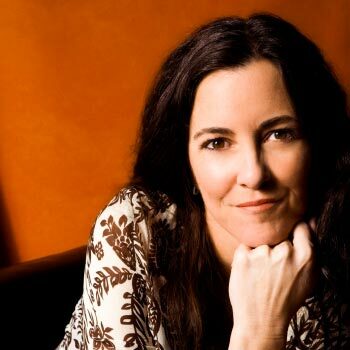 Prior to T-Mobile, Torrie served as Senior Vice President of Global Sales and Marketing for Sony Online Entertainment (SOE), where she oversaw sales, operations, marketing and promotions, corporate strategy, corporate communications/PR, web presence, localization and game communities; and was responsible for leading Sony’s expansion into new genres and business models. Prior to SOE, Torrie was founder and GM of Black Label Games at Vivendi Universal (now Activision Blizzard). Earlier in her career she founded and ran family record labels for Disney, Warner Bros. and Rhino Entertainment, where she developed and launched many award-winning albums for the family market. Torrie graduated with a BA in Journalism from Pepperdine University, and has been listed as one of the Top 10 Most Influential Women in MMOs by Massive Online Gamer Magazine, the Top 5 Women in Technology by chipchix.com, and the 100 Most Influential Women in Gaming, next-gen.com. Torrie lives in Bellevue, WA, with her family; and is currently re-playing every Halo game on hard mode with her 12-year-old daughter, who plays the Tank role far better than her mother.